Round and green health machines, peas are an amazing vegetable that have been around for a long time. Loaded with protein and fibre, it's easy to see why people thousands of years ago thought that growing and eating peas would be a great idea! Peas are such an important part of human nutrition, and early cultivation of peas began with the beginning of agriculture in the neolithic period, in what is now the middle-eastern to mediterranean part of the world: in countries like Syria, Israel, Turkey, and Jordan [Abbo]. The common pea, known as Pisum savitum, is part of the Fabaceae family, and is technically not a vegetable. Now used in cooking all over the world, as well as for livestock feed, peas are a staple! Not only that, but peas have numerous health benefits: from anti-cancer, to immune system strengthening, to protection against heart disease, weight gain, and a myriad of other diseases. In fact, it's been found that eating more legumes (which peas of course are a type of) satisfies your body's needs for a variety of important vitamins and minerals [Mudryj]. Peas have also been found to be helpful in lowering cardiovascular risk and diabetes, mostly because of the perfect balance of protein and fibre in peas, as well as their low glycemic index [Rebello, Leterme]. But there are other health benefits from peas that aren't as well-known! Loaded with many vitamins, minerals, polyphenols, flavonoids, and other nutrients, these green globes of goodness are gob-smackingly great, and can help protect you against disease and keep your body strong and healthy! Want a great dose of a wide variety of vitamins? Then look no farther than peas. They contain all sorts: richest in vitamins A, C, K, B1, B2, B3, B6 and folate, among others! Vitamin C is crucial in maintaining collagen - a protein found in skin, bones, tendons, ligaments and many other parts of your body. It does this because it's a cofactor in various enzymes that are needed for collagen formation: including prolyl-3-hydroxylase, prolyl-4-hydroxylase, and lysyl hydroxylase [Prockop]. Vitamin C is also a critical cofactor that plays a key role in fat and hormone metabolisms [Higdon 1], because it's required for enzymes that synthesize carnitine, which is needed for ATP production in the mitochondria [Rebouche, Paddayatty]. Without vitamin C, you would develop a disease called "scurvy", which is characterized by bleeding gums, spotty skin, jaundice and wounds that don't heal. Vitamin A, which is abundant in peas, is important for vision as it is used in the eye's light absorbing protein (called rhodopsin). Children who are not getting enough vitamin A can become blind. Indeed, vitamin A deficiency and childhood blindness is a major problem in the developing world [Higdon 2]. Vitamin A is also important for the immune system, where it stops invading bacteria and viral infections from spreading, by stimulating the protein interferon, which prevents viruses from replicating [Trottier]. Another important vitamin that's readily available in peas is vitamin K. Without it, blood wouldn't clot (think hemophilia) and bone structure would be compromised! This is because vitamin K plays an important role in the development of several clotting proteins (coagulation factors II, VII, IX and X) and there are vitamin k-dependant proteins used in bone metabolism (osteocalcin and matrix Gla protein) [National Research Council/Price]. As for the B-vitamins, vitamins B1, B2, B3, B6 and folate can all be found in peas! Vitamin B1 (or thiamine) is an important precursor for a molecule called thiamine diphosphate that is crucial for oxidative energy metabolisms; a deficiency is related to many physiological and neurological ailments (beriberi, Korsakoff's syndrome and Wernicke's disease) [Higdon 3]. Vitamin B2 (or riboflavin) is needed for metabolism of fats, carbohydrates, and protein. Plus, riboflavin is necessary in many redox reactions of human metabolism, because it is part of the coenzymes FMN (flavin mononucleotide) and FAD (flavin adenine dinucleotide), which are important because they move electrons from one reaction to another [Powers]. Riboflavin also very important for maintaining healthy teeth, skin, hair, and nails, as well as in thyroid function [Cimino]. Also in peas is vitamin B3 (or niacin). Heavily involved in energy metabolism, vitamin B3 is a precursor to cofactors (NAD, NADP and NADH) involved in redox reactions [Higdon 4]. Vitamin B6 is a group of several cofactors (including pyridoxine, pyridoxal, and pyridoxamine) for over a hundred enzymes, namely for the metabolism of amino acids (creating Schiff bases), proteins and fats [Erdman]. Another B-vitamin, folate (or vitamin B9) can be found in peas. Folate is a supplement that all pregnant women need to take to prevent their babies from developing spinal cord problems (such as spina bifida or acephaly) and cognitive birth defects [Daly]. But folate isn't just for babies and moms-to-be, it's for everyone. Folate is essential for the growth of new cells (especially red blood cells), and it can also decrease risk of developing cardiovascular disease by breaking down homocysteine, an amino acid that increases risk of the disease [Wang]. Finally, folate can reduce side effects of certain arthritis medications and chemotherapies by replenishing diminished folate stores [Shea, Nadhananan]. Bottom line: Peas have lots of the vitamins you need! Peas are also a good source of three minerals: manganese, copper and zinc. All three of these are important nutrients to make sure your body functions properly and healthily! Manganese is often forgotten when dieticians formulate the nutritional values of foods, but its importance cannot be overlooked. Manganese is found in the active site of many enzymes that are used in key metabolic pathways. Some of the many enzymes include arginase, glutamine synthetase, xylosyltransferases, phosphoenolpyruvate decarboxylase, and Mn superoxide dismutase (MnSOD); they play major roles in protein, carbohydrate, and cholesterol metabolism [Roth]. Manganese is important for maintaining bone health and metabolic processes, as many of these enzymes are involved in these processes [National Research Council]. As for copper, it is a vital nutrient that is important for maintaining body functions like metabolism and homeostasis, especially in the heart, thyroid, and brain [Desai]. If you're deficient in copper, a few very serious health problems can arise, because levels of cholesterol, blood pressure, and uric acid will all increase [Klevay]. Carried by the ceruloplasmin protein in the blood (which is implicated in the metabolism of iron), copper acts as a cofactor for various enzymes, like cytochrome C oxidase, superoxide dismutase (SOD), both of which are important in oxygen utilization by cells [Chan, Milne]. Other enzymes that copper is essential for include etyrosine (important in thyroid function), lysyl oxidase (important for collagen formation), and dopamine-B-hydroxIase (important for making the neurotransmitter dopamine from norepinephrine) [Badawi]. Zinc is also an essential mineral for the human body that's important for blood pressure and nervous and mental health. Present in almost every tissue in our bodies, zinc is important for brain development and function, and has cell-signalling roles within various tissues [Walsh]. Associated with over 300 enzymes in the human body, zinc is critical in many processes such as immune function, homeostasis of cell processes, and metabolism [Frederickson]. It is an ionic signalling molecule, which means that it can move among various membrane channels and bind with proteins that depend on zinc [Frederickson, Yu]. Some of these many proteins include the DNA-binding proteins TFIIA, GAL4, g32P, the protein kinase C that is important in signal transduction pathways, and neurotransmitter receptor proteins y-aminobutyric acid (GABA) and N-methyl-D-aspartate (NMDA), which are important for the passing along signals in the brain [Walsh]. Bottom Line: Who knew that peas could be so into heavy metals? Omega 3's in Peas: The Bee's Knees! Peas are a rich source of alpha-linoleic acid (ALA), an omega-3 polyunsaturated fatty acid (PUFA). The other omega-3s (known as EPA and DHA) posses heart healthy properties, though that doesn't seem to apply to ALA [Ruxton/Pan]. But ALA is very promising for brain health - the European Union Food Safety authority released an article stating that ALA is important in brain and nerve tissue development, especially in children [EFSA]. Also, research has found a reduced risk of depression with a higher intake of ALA, and this effect was amplified with combining this intake with linoleic acid [Lucas]. Another research group found that ALA led to increased expression of an anti-depressant protein (brain-derived neurotrophic factor or BDNF); when mice were treated with ALA, their depressive behaviour was reduced [Blondeau]. The same study found that ALA caused higher expression of proteins involved in the synaptic activity and transmission of a key excitatory neurotransmitter! This raises the possibility that ALA improves brain elasticity and could become a method for stroke therapy [Blondeau]. Bottom Line: Sharpen your mind and keep depression at bay with peas! Not only are peas great for giving you a good dose of vitamins and minerals, they also contain many exciting phytochemicals: nutrients with amazing anti-inflammatory and anti-cancer properties, among other health benefits. Peas are very nutritionally dense, and you can find flavanols, phenolic acids, and saponins - all mostly in the hull of the pea [Marles]! Let's break it down! 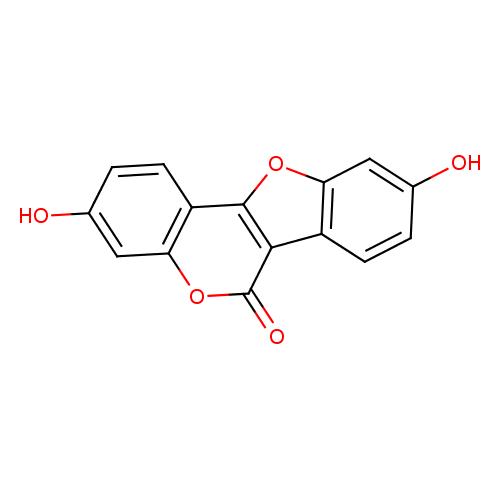 Flavanols are a type of phenolic compounds, a type of large class of secondary plant metabolites that are characterized by multiple, joined polyphenolic rings. Flavonoids can be further divided into subclasses such as flavones, flavonols, flavanols, anthoxanthins, and anthocyanidins. In peas, these substances are often found in the richly-coloured seed coat, some of the important flavonoids include catechin and its isomer epicatechin, which are two flavanols that have been found to have a variety of health-promoting effects. Normally associated with green tea and Chinese medicine, catechin and epicatechin have been shown to have a range of anti-cancer properties. In one study that induced colon cancer in mice and fed them a catechin-rich diet for ten weeks, the catechin caused a decrease in cancer cell proliferation, slowed the migration of HT-29 colon cancer cells, and interfered in cell signalling and adhesion of the FAK protein (focal adhesion kinase, also known as protein tyrosine kinase PTK2), slowing the spread and integration of cancer cells in the colon [Weyant]. Another way that peas can help prevent against cancer and improve immune function are through the phenolic acids ferulic acid and caffeic acid. It's important to note that both acids are part of the class of hydroxycinnamic acids, which is highly abundant in fruits and vegetables. Caffeic acid (not related to caffeine) has a number of beneficial anti-cancer properties. In one recent study, caffeic acid induced the death of cancerous cells (apoptosis) by inhibiting the B-cell lymphoma (Bcl-2) protein associated with apoptosis regulation, which led to a molecular domino effect that eventually killed the cancerous cells [Chang]. In another study, caffeic acid was shown to have the same apoptosis-inducing effect on colon cancer cells [Jaganathan]. Furthermore, caffeic acid can unleash a barrage of cellularly-produced cancer killing compounds, including reactive oxygen species (ROS) that damage a cancer cell's DNA and induce apoptosis [Rajendra]. Caffeic acid also has some very clear anti-inflammatory effects. 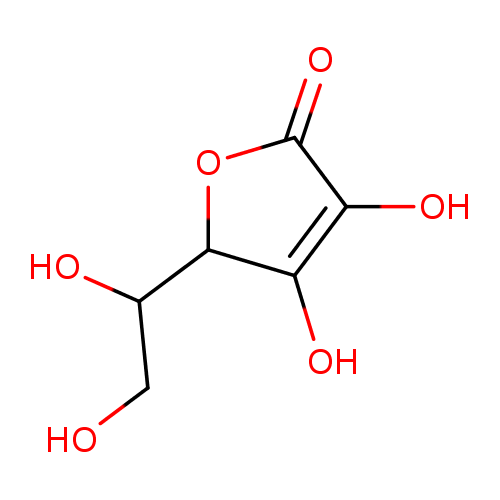 Caffeic acid will hunt down harmful chemicals in an effort to reduce inflammation, inhibit inflammatory genes, as well as reducing damage created by inflammation [de Cunha/Zhang/Yang]. Peas also are rich in ferulic acid, and it's been found that eating fruits and vegetables rich in this compound can significantly lower the effects of UV radiation on skin, so much so that it has actually been used in sunscreen [Di Domenico]. This includes inhibiting cancer-causing enzymes, attenuating degradation of collagen fibres and reducing hyperplasia (a cancer-like proliferation of cells) [Staniforth]. Ferulic acid is also effective in preventing cancer growth: it promotes the production of apoptosis-causing enzymes (caspases), and increases ROS (reactive oxygen species like super-oxide) levels in an effort to kill cancer cells, and inhibit cancer growth [Alias/Karthikeyan/Peng/Prabhakar]. A type of cinnamic acid called coumestrol has also recently been found to have anticancer properties. One study found that rates of gastric cancer (GC), also known as stomach cancer, were reduced with increased consumption of polyphenols, specifically coumestrol [Hernandez]. This is because coumestrol, along with other polyphenols, impairs the formation of N-nitroso compounds (NOC's), which are known potent carcinogens [Mirvish]. Furthermore, there is a possibility coumestrol prevents breast cancer and prostate cancer. How does it do this? Although the exact mechanisms are not yet clear, it's thought that in breast cancer, coumestrol is inversely associated with progesterone receptor PR- and estrogen receptor ER-, causing a decrease in negative-receptor tumours (activated by PR- and ER-) [Hedelin]. As for prostate cancer, again, the exact mechanisms are not quite clear, but a database analysis found increased intake of coumestrol decreased the risk of prostate cancer in caucasian males [Strom]. And one other thing! Coumestrol might also be important in improving drug interactions, that is, in making sure that when two or more drugs are taken together, they don't interfere in the effects of the other. It has been proposed that coumestrol can do this via antagonizing the human nuclear pregnane X receptor (PXR), which is often activated when more than one drug is used, starting up a strong defense mechanism against toxic chemicals [Kliewer]. Coumestrol effectively interferes in PXR activity through binding to the surface of the receptor [Wang]. Finally, some amazing little compounds called saponins are found in peas: specifically pisumsaponins I and II, and pisomosides A and B, which are both unique to peas [Murakami]! These anti-inflammatory phytonutrients have a myriad of health benefits: from anti-cancer, to anti-inflammatory, to even reducing cholesterol! What are saponins? Well, these compounds can be identified by their possession of a glycoside molecule joined to a sapogenin, which will be either in a steroid or triterpene form [Sidhu]. Despite the fact that few studies have been conducted regarding the specific saponins present in peas, there is a wide body of research relating to the health benefits of saponins derived from other legumes, fruits and vegetables. These properties are likely to also be found in the saponins present in peas. Saponins can be used as adjuvants in vaccines for both viral and bacterial infections, meaning that the vaccine's effects are optimized and the vaccine can be delivered as efficiently as possible [Shi]. The anti-inflammatory effects of saponins extend to their anti-cancer properties, where they are great for activating the immune system to prevent tumour growth, increasing the number of T-helper cells and natural killer cells, both of which are important in activating immune responses and slowing cell proliferation [Bouchenak, Kenarova]. Specifically related to cancer, saponins have possible cytotoxic and growth-inhibiting properties, and can be responsible for slowing or stopping proliferation of cancer cells [Khan]. One study found significant decrease in the following cancer cell lines: A549 (lung cancer cell line), SK-OV-3 (ovarian cancer cell line) , SK-MEL-2 (skin cancer cell line), XF498 (central nervous system cancer cell line) and HCT-15 (colon cancer cell line) following exposure to saponins from a herb species [Kim]. Also, the saponins in peas can help reduce cholesterol because saponins are able to interfere in the absorption of cholesterol into the intestine, as well as increase the amount of bile acids produced [Story, Sidhu]. Saponins are able to integrate into the micelle near the small intestine by combining with 3-beta-hydroxysteroids, which then take some of the spots of cholesterol in the micelle, which prevents further absorption of cholesterol. Saponins also bind with bile acids, which breaks down cholesterol, further reducing levels sequestered in the body [Milgate]. Bottom line: Keeping cancer away is as pea-sy as can be! Peas are rich in phenolic compounds which have many immunopositive and anti-cancer benefits. Abbo S, Zezak I, Schwartz E, Lev-Yadun S, Gopher A. Experimental harvesting of wild peas in Israel: implications for the origins of Near East farming. J Archaeol Sci. 2008;35(4):922-929. Mudryj AN, Yu N, Hartman TJ, Mitcell DC, Lawrence FR, Aukema HM. Pulse consumption in Canadian adults influences nutrient intakes. Brit J Nutr. 2012;108(1):S27-S36. Rebello CJ, Greenway FL, Finley JW. A review of the nutritional value of legumes and their effects on obesity and its related co‐morbidities. Obes Rev. 2014;15(5):392-407. Leterme P. Recommendations by health organizations for pulse consumption. Brit J Nutr. 2002;88(S3):239-242. Trottier C, Colombo M, Mann KK, Miller WH, Ward BJ. Retinoids inhibit measles virus through a type I IFN-dependent bystander effect. FASEB J. 2009; 23(9):3203-3212. Price PA. Role of Vitamin-K-Dependent Proteins in Bone Metabolism. Ann Rev Nutr. 1988;8:565-83. Jane Higdon. Thiamin. http://lpi.oregonstate.edu/infocenter/vitamins/thiamin/ (accessed 11 August 2014). Powers HJ. Riboflavin (vitamin B-2) and health. Am J Clin Nutr. 2003;77(6):1352-1360. Cimino JA, Jhangiani S, Schwartz E, Cooperman JM. Riboflavin metabolism in the hypothyroid human adult. Exp Biol Med. 1987;184(2):151-153. Jane Higdon. Niacin. http://lpi.oregonstate.edu/infocenter/vitamins/niacin/ (accessed 11 August 2014). Roth J, Ponzoni S, Aschner M. Manganese homeostasis and transport. Met Ions Life Sci. 2013;12:169–201. Klevay LM. Lack of a recommended dietary allowance for copper may be hazardous to your health. J Am Coll Nutr. 1998;17(4):322-326. Desai V, Kaler SG. Role of copper in human neurological disorders. Am J Clin Nutr. 2008;88(3):855S-858S. Chan S, Gerson B, Subramaniam S. The role of copper, molybdenum, selenium, and zinc in nutrition and health. Clin Lab Med. 1998:18(4);673-685. Milne DB. Copper intake and assessment of copper status. Am J Clin Nutr. 1998;67(5):1041S-1045S. Badawi AM. On the experimental role of copper in cancer. In: Collery PH, Poirier LA, Manfait M, Etienne JC, editors. Metal ions in biology and medicine. Paris: John Libbey Eurotext; 1990. Ruxton CH, Reed SC, Simpson MJ, Millington KJ. The health benefits of omega-3 polyunsaturated fatty acids: a review of the evidence. J Hum Nutr Diet. 2004;17(5):449-59. Pan A, Chen M, Chowdhury R, Wu JH, Sun Q, Campos H, et al. α-Linolenic acid and risk of cardiovascular disease: a systematic review and meta-analysis. Am J Clin Nutr. 2012;96(6):1262-73. Lucas M, Mirzaei F, O'Reilly EJ, Pan A, Willett WC, Kawachi I, et al. Dietary intake of n-3 and n-6 fatty acids and the risk of clinical depression in women: a 10-y prospective follow-up study. Am J Clin Nutr. 2011;93(6):1337-43. Blondeau N, Nguemeni C, Debruyne DN, Piens M, Wu X, Pan H, et al. Subchronic alpha-linolenic acid treatment enhances brain plasticity and exerts an antidepressant effect: a versatile potential therapy for stroke. Neuropsychopharmacology. 2009;34(12):2548-59. Marles MA, Warkentin TD, Bett KE. Genotypic abundance of carotenoids and polyphenolics in the hull of field pea (Pisum sativum L.). J Sci Food Agr. 2013;93(3):463-470. Weyant MJ, Carothers AM, Dannenberg AJ, Bertagnolli MM. 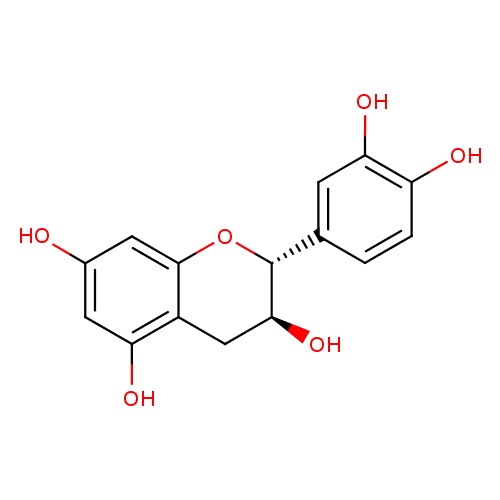 (+)-Catechin inhibits intestinal tumor formation and suppresses focal adhesion kinase activation in the Min/+ mouse. Cancer Res. 2001;61(1):118-125. Jaganathan SK. Growth inhibition by caffeic acid, one of the phenolic constituents of honey, in HCT 15 colon cancer cells. ScientificWorldJournal. 2012;2012:372345. Staniforth V, Huang WC, Aravindaram K, Yang NS. Ferulic acid, a phenolic phytochemical, inhibits UVB-induced matrix metalloproteinases in mouse skin via posttranslational mechanisms. J Nutr Biochem. 2012;23(5):443-51. Di Domenico F, Perluigi M, Foppoli C, Blarzino C, Coccia R, De Marco F. Protective effect of ferulic acid ethyl ester against oxidative stress mediated by UVB irradiation in human epidermal melanocytes. Free Radic Res. 2009;43(4):365-75. Hernández‐Ramírez RU, Galván‐Portillo MV, Ward MH, Agudo A., González CA, Oñate‐Ocaña LF, et al. Dietary intake of polyphenols, nitrate and nitrite and gastric cancer risk in Mexico City. Int J Cancer. 2009;125(6):1424-1430. Mirvish SS. Role of N-nitroso compounds (NOC) and N-nitrosation in etiology of gastric, esophageal, nasopharyngeal and bladder cancer and contribution to cancer of known exposures to NOC. Cancer Lett.1995;93(1):17-48. Hedelin M, Löf M, Olsson M, Adlercreutz H, Sandin S, Weiderpass E. Dietary phytoestrogens are not associated with risk of overall breast cancer but diets rich in coumestrol are inversely associated with risk of estrogen receptor and progesterone receptor negative breast tumors in Swedish women. J Nutr. 2008;138(5):938-945. Strom SS, Yamamura Y, Duphorne CM, Spitz MR, Babaian RJ, Pillow PC, et al. Phytoestrogen intake and prostate cancer: A case-control study using a new database. 1999;33(1):20-25. Kliewer SA, Goodwin B, Willson TM. The nuclear pregnane X receptor: a key regulator of xenobiotic metabolism. Endocr Rev. 2002;23(5):687-702. Wang H, Li H, Moore LB, Johnson MD, Maglich JM, Goodwin B, Mani S, et al. The phytoestrogen coumestrol is a naturally occurring antagonist of the human pregnane X receptor. Mol Endocrinol. 2008;22(4):838-857. Murakami, T., Kohno, K., Matsuda, H., & YOSHIKAWA, M. (2001). Murakami T, Kohno K, Matsuda H, Yoshikawa M. Medicinal foodstuffs. XXII. Structures of oleanane-type triterpene oligoglycosides, pisumsaponins I and II, and kaurane-type diterpene oligoglycosides, pisumosides A and B, from green peas, the immature seeds of Pisum sativum L. Chem Pharm Bull. 2001;49(1):73-77. Shi J, Arunasalam K, Yeung D, Kakuda Y, Mittal G, Jiang Y. Saponins from edible legumes: chemistry, processing, and health benefits. J Med Food. 2004;7(1):67-78. Bouchenak M, Lamri-Senhadji M. Nutritional quality of legumes, and their role in cardiometabolic risk prevention: a review. J Med Food. 2013;16(3):185-198. Kenarova B, Neychev H, Hadjivanova C, Petkov VD. 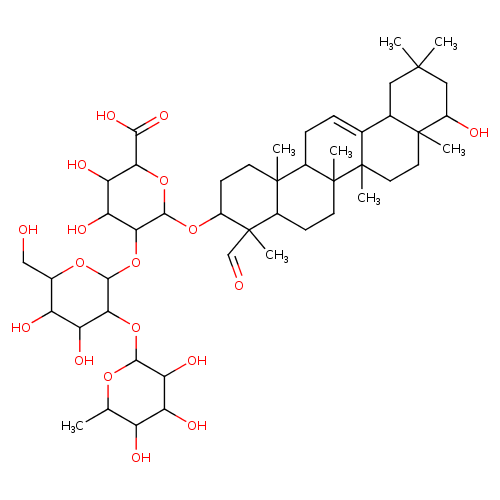 Immunomodulating activity of ginsenoside Rg1 from Panax ginseng. Jpn J Pharmacol. 1990;54(4):447-454. Khan MMAA, Naqvi TS, Naqvi MS. Identification of phytosaponins as novel biodynamic agents: an updated overview. Asian J ExpBiol Sci. 2012;3(1):459-467. Kim YS, Kim JS, Choi SU, Kim JS, Lee HS, Roh SH, et al. Isolation of a New Saponin and Cytotoxic Effect of Saponins from the Root of Platycodon grandiflorum on Human Tumor Cell Lines. Planta Med. 2005;71(06):566-568. Sidhu GS, Oakenfull DG. A mechanism for the hypocholesterolaemic activity of saponins. Brit J Nutr. 1986;55(03):643-649. Story JA, LePage SL, Petro MS, West LF, Cassidy MM, Lightfoot FG, et al. Interactions of alfalfa plant and sprout saponins with cholesterol in vitro and in cholesterol-fed rats. Am J Clin Nutr. 1984. 39(6), 917-929. Milgate J, Roberts, DCK. The nutritional & biological significance of saponins. Nutr Res. 1995;15(8):1223-1249.